John Henry: Training Involution #138 | Robert Mitchell Jr.
← Happy New Year — What’s New in 2019! We haven’t picked our new physical and spiritual focuses yet this month, so this week’s involution is a flat-out physical challenge from my upcoming Bobcat Frontier Martial Arts program. It incorporates a delightful little piece of work called the John Henry — named after the hero of American folklore. Warm up for at least 8 minutes. Do some Half Squats, Push-ups on knees, Shadowboxing, jump rope, arm swings, etc. Heavy Bag Tabata for speed. 16 rounds x :20/:10 (8 mins total). As many strikes as you can for 20 seconds, rest 10 seconds, repeat. “As many strikes as you can” means literally that. It doesn’t mean “as many as you prefer” or “as is convenient” or “as many as it takes to get sweaty.” We are not working out. We are training. John Henry. A Slam and Squat Half Pyramid. Get yourself a tire and either a sledge hammer, mallet, or mace ball. * Start timer for 15 mins and start climbing the odd numbers only. 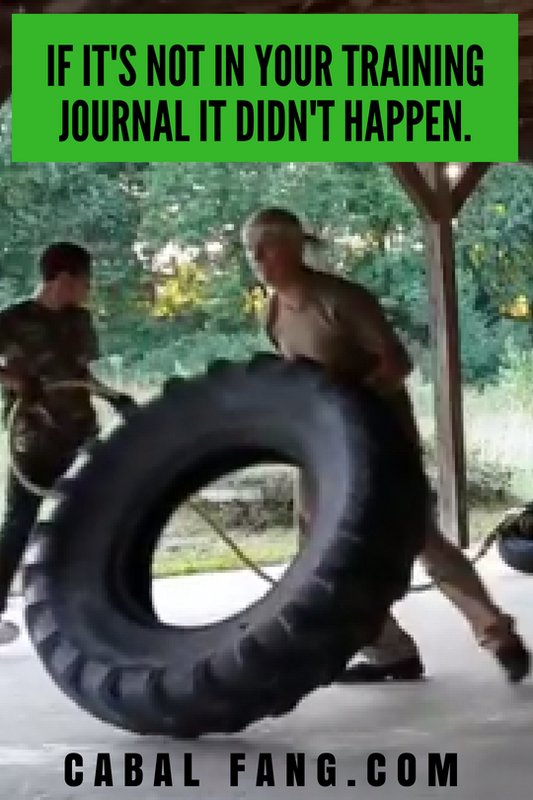 Hit the tire with your tool one time, then rest it on your shoulder and do one Squat. Then do 3 Strikes and 3 Squats, 5 Strikes and 5 Squats, then 7 of each, etc. Go as fast as you can. Stop when you get to 25 of each or the timer stops, whichever comes first. Take as few 12-count breaks as you need to keep from throwing up. If you finish all the sets up to 25 of each, that’s 169 of each. I got there there in 13:40. And just remember that in the folktale John Henry beats the steam drill but dies. Please be careful and don’t do that. * If you don’t have hammer, mallet or mace, just do Tire Slams. Facing the edge not the hole, pick up the tire with one hand on each side. Lift and sling it over your head so that it touches the nape of your neck; then bring it forward and slam the tread onto the ground in front of you. This entry was posted in Martial arts and tagged involution, John Henry. Bookmark the permalink.